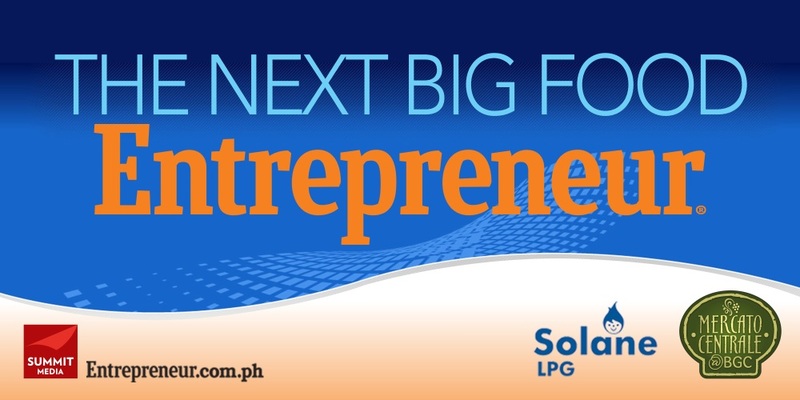 In its quest to lend support to those who dream big and hope to contribute to the country through their enterprising capabilities, Entrepreneur Magazine announces the extension of Solane’s Next Big Food Entrepreneur Challenge. Running on its second year, the contest is in partnership with Solane LPG and Mercato Centrale Philippines. Interested parties may submit their entries until July 25, 2013 by sending their name, short description of dish concept, email address, mobile number, landline (optional), and desired time in a brown envelope labeled Solane’s Next Big Food Entrepreneur. Entries must be submitted to In-Magazine Promos, Summit Media, 7th floor Robinsons Cybergate Center Tower 3, Pioneer St., Mandaluyong or through fax number 451-8888 local 1074, from Mondays to Fridays, 10:00 am to 5:00 pm. Submissions will be accepted until July 25, 2013 only. For more details on Solane’s Next Big Food Challenge and for the full mechanics, grab a copy of the June issue of Entrepreneur Magazine, available in newsstands, bookstores and supermarkets nationwide. You can also visit Entrepreneur online at www.entrepreneur.com.ph. Get more updates when you follow them on Twitter via Twitter.com/EntrepreneurPH or like its Facebook page www.facebook.com/entrepreneurmagazine.ph.